Guest post: from the Cunctarum Haeresum Interemptrix blog. 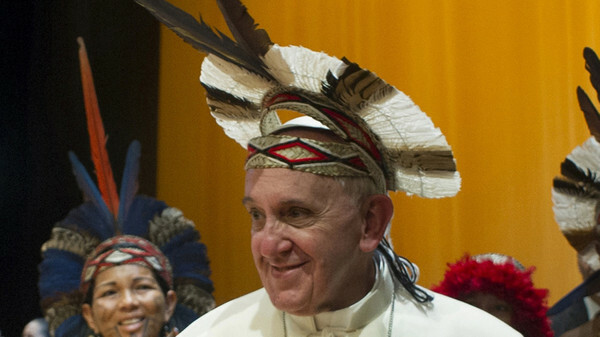 As the numbers of vocations continue to dwindle in the West, where priests are recruited from Nigeria, Ghana, Cameroon, Poland, India, Vietnam, the Philippines and central America, the entire experiment of anthropocentric religion in Catholic guise is on the verge of collapse. The new religion of man focused on this present world and getting along with everyone is failing in spectacular fashion. Looking at just the demographics of priests, the collapse will come absolutely unforced, by the mere power of math and statistics. The average age of a Catholic priest in the United States in 1970 was 35. These men would have begun their priestly formation well before the Second Vatican Council (1962-1965) when vocations were abundantly plentiful under Pastor Angelicus, Pope Pius XII. 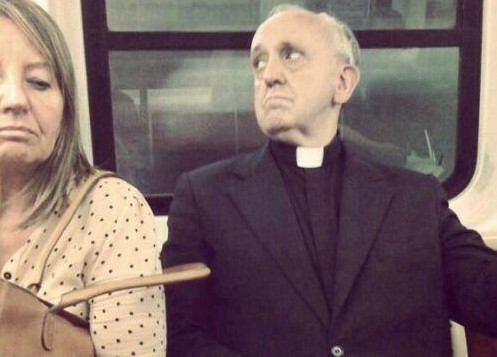 Today, the average age of a Catholic priest in the USA is 64. The demographics of Catholics themselves are also cascading downward in a breathtaking manner: birthrates in Europe, Canada, the US and even South America have fallen below the replacement rate. Quite apart from any malicious strategy applied by the Church’s enemies from without, the collapse of the Western Church appears to be an inside job. The elevation by Pope John XXIII of theologians suppressed under Pope Pius XII is where the enemies of the true faith were able to come out in the light of day. Pope Angelo Roncalli not only rehabilitated the neoModernist theologians, he tied the hands of every orthodox prelate by announcing that Vatican II (and the orientation it introduced) would condemn no errors (the “medicine of mercy” hermeneutic). So at once we had a condemned theology and no mechanism whereby to oppose it. 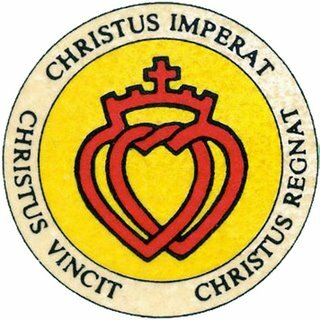 Paul VI went further by reforming the Holy Office into the Confraternity of the Doctrine of the Faith, abrogating the Oath Against Modernism, and dissolving the Index of Forbidden Books. 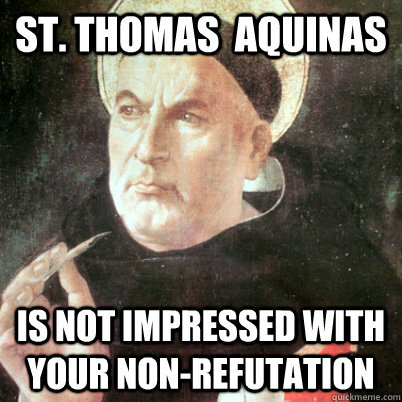 His most grievous damage of course was done by suppressing the Missal of St. Pius V and promulgating Fr. Annibale Bugnini’s man-made Forma Normativa as the Novus Ordo Missae. Pope John Paul II reformed the code of Canon Law in 1983 which included the abrogation of 141 canons dealing with the beatification and canonization process, dissolving the function of “devil’s advocate” in the office of the Promotor Fidei. This effectively denuded any attempts to investigate the worthiness of candidates for Sainthood, and in just 25 years John Paul II beatified one-third of all the Saints in Church history. The practice of making it nearly impossible to condemn any errors or apply any canonical standards to contemporary teaching was made even more self-destructive for Catholics by urging the twin-headed spectacle of pan-christian ecumenism and inter-religious dialogue. Stripped of all means of determining truth and error and sent blindly into endless ‘dialogue’ with the practitioners of all religions produced a predictable result. What once was the only way to obtain eternal salvation eroded into just one of many ways of praying, believing, of seeing man and the world. According to Pope Benedict XVI however, the real cause of the crisis in the Catholic Church is the collapse of the sacred liturgy, and in particular, the Mass. The form of the Mass handed down from the earliest Christian centuries and attributed to the Apostles was universally suppressed in 1970, giving the faithful the idea that it was somehow now no longer needed, ineffective, or even worse, something evil that should be shunned and avoided. While indults were permitted for the Tridentine Mass between 1984 and 2006, few Bishops allowed it. By the time Pope Benedict XVI liberated it from the control of hostile prelates in 2007, it had been suppressed for 37 years, effectively wiping out all memory of centuries of liturgical Tradition. To add to the stigma, Pope Paul VI and John Paul II unjustly censored the most fruitful missionary bishop of the 20th century for the ‘crime’ of forming priests for the Traditional liturgy. Now its all about the demographics. An aging priesthood offering only the man-made Mass of Paul VI on behalf of an aging population of Catholics who contracepted and aborted themselves into fewer and smaller families has amply demonstrated the folly and hubris of the Second Vatican Council’s reformers. The experiment of anthropocentric religion has failed, and the price of adopting its theories and reforming the Church thereby is the collapse of Catholicism in the West. 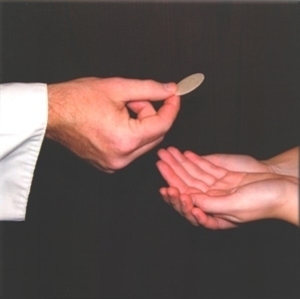 Soon there will simply be almost no priests left to baptize, absolve, and confect the Eucharist. All is not lost. Those who rebuilt the edifice of Catholic Tradition while covered under the shadow of stigma as “schismatics” and “excommunicates” are enjoying a profound resurgence of health and vitality. The seminaries that form priests for the Traditional Latin Mass are bursting at the seams with new vocations. Again, simply by the math, at some point in the not-too-distant future, they will overtake the aging, graying, and rapidly diminishing Vatican II priests and become the majority. If Christ does not return in the next two or three decades, the conciliar priests will simply die off, fade away into history, and be remembered as those who drove a healthy, vibrant Catholic Church into near-irreversible decline only to be rescued by the very priests they ostracized, marginalized, and oppressed. And with these young priests practicing Tradition come the young families with lots of Catholic babies. There is a divine lesson to be learned here for those who have eyes to see, ears to hear, and can master elementary math. The FROM ROME blog is carrying the LIVE transmissions from the Extra-Ordinary Consistory. 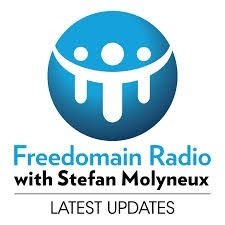 To follow the up to the minute news flow and running commentary, please visit their blog here. Exclusive interview on the From Rome blog with Jack Tollers. T -236: Guest Post: The Real Jorge Bergoglio? I am re-producing this information here, with the expressed aim to provide background about both the man who is the present bishop of Rome and his magisterium. I have added emphasis where I think the key data points lie, data points that give insights and understanding as to the gravity of the situation that the Catholic Church finds Herself in today. Please don’t get me wrong, it’s not that I don’t love my country, but it sure makes you want to cry now and again (as Jesus did for His, if I got my Gospel right). And Simone Weil has aptly explained that there’s no other way of loving your own country—with compassion, that is. 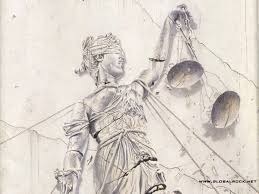 Having said that, this country is pretty much a disaster.In the way Argentines perceive thing, talk, behave – or misbehave – it’s an anomalous country, a place where one cannot take words at its face value, where unpunctuality is the norm, where the rule of law is pretty much disdained; a place full of double talk, where people seldom come out with a straight answer, where “tomorrow” doesn’t refer to the day after, but to the present day: it only means not today. It’s a difficult place to live in: flimsy logic, inconsistency, lack of seriousness, nearly non-existent courtesy, false modesty, dishonesty, dirty habits and general unfairness make up the usual fare. We’re sort of used to all this (and much more) in a way that your average American could never understand unless you happened to do some time over here. Okay, I know that you think I’m exaggerating (that now it’s me, the Argentine, who’s pulling your leg); that no society could survive such habits and customs, that there must be more to the country than my dreary depiction. And you’re right. There is. Except for a bunch of thoroughly decent Argentines the country would have all but disappeared decades ago. To my mind, this is especially true about Argentine women, but no, you can also find lots of engaging people among the men. Hospitable, good mannered, well brought up, brave, sprightly young Argentines can be found in every job, in every college, in every corner of the country (if anyone’s interested, I’ve written a novel on the better Argentines I’ve come to know, and that you can find at this link). They are, however, a minority (and, as I see it, always have been), which goes a long way to explain the financial, economical, institutional and moral mess which characterizes us as a country—and I’m weighing my words. 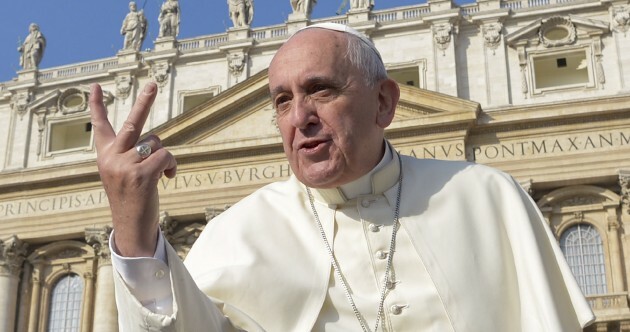 Now to Jorge Bergoglio. He’s a typical peronista: his ways, language, style (or lack of), social and ideological background is peronista through and through. Coming from the lower classes he was studying chemistry when he decided to join the Jesuits and was ordained in the years just after Vatican II. 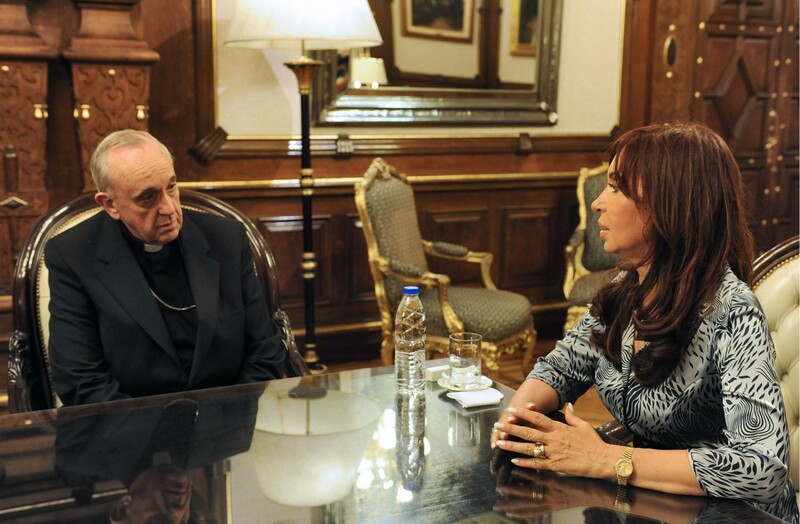 Enter the Argentine Catholic Church, and especially, the Jesuits in this country. If the country, as a rule, is an unreliable one, you cannot begin to guess what a mess the Catholic Church was even before Vatican II, let alone afterwards. But here, a short aside is necessary. 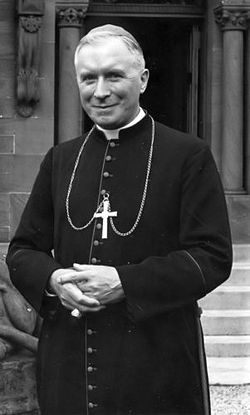 I have dedicated most of my life to promote, translate, and publicize an Argentine Jesuit’s work, Father Leonardo Castellani (1899-1981), who comes out like something of a mighty exception: a very clever scholar, a serious and devout priest, who made it the job of his to denounce the terrible circumstances, the ruinous state of the Argentine Catholic Church of his time (on my Smashwords page you’ll find some of his works translated into English by me, as well as a short Introduction which should more or less put you into the picture of the class of priest I’m talking about). Well, to cut a long story short, in 1949 he [ Ed. Note: Father Leonardo Castellani] was expelled from the Jesuits Society in a scandalous way—precisely because of his complaints and public denunciation of the local Church’s state of affairs.He was especially sharp and bitter when referring to the seminaries curricula, terrible teachers, worst books, and complete lack of scholarship—and all that, back in the Forties! In his time, it was very difficult to find in this country a well-read priest, a properly trained one (like himself, the great exception as I have already noted). The after-effects of Vatican II in such circumstances could only make matters worse, and that’s exactly what happened. It was a perfect debacle. 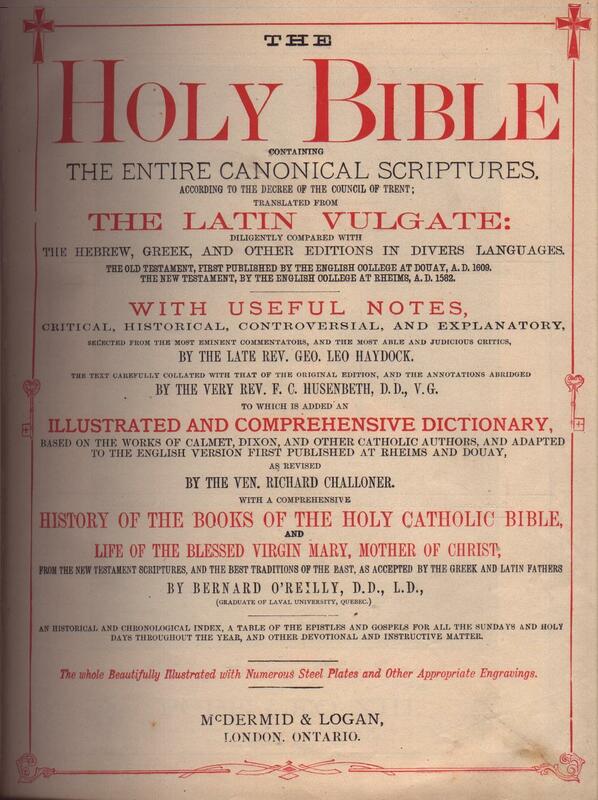 The liturgy was perfectly awful, no one knew Latin, Scriptural Studies were little less than a sham. (Let me tell you, I know what I’m talking about, the main Jesuit College is a very short way from where I’m writing, a Jesuit uncle of mine studied there, I’ve been there dozens of times, and have done part of my research on Father Castellani at their library—¡some library!, one of the poorest I’ve seen in the country, and that’s saying quite something). Well, then, how come he was elected Pope? Search me. All I can tell you is that he’s the perfect example of an Argentine, Peronist, Jesuit of the second half of the Twentieth Century. A ruthless double-dealer, he made his way up the ranks of the Society of Jesus with surprising speed: consider that he was ordained in 1969 and only four years later was ruling all Argentina’s Jesuits as a Provincial Superior! After six years, he became the Rector of the College I was telling you about (“Colegio Máximo”), and that occurred from 1980 to 1986. It was then that he fell badly with nearly every Jesuit in this country because he played his part against Arrupe and the General Congregation No. 34—and into John Paul’s hands. That’s how he eventually was finally rehabilitated by the Vatican, and with the help of Buenos Aires’s bishop (Mons. Quarracino) he became his auxiliary (1992) and, in the end, bishop himself of Buenos Aires (1997). 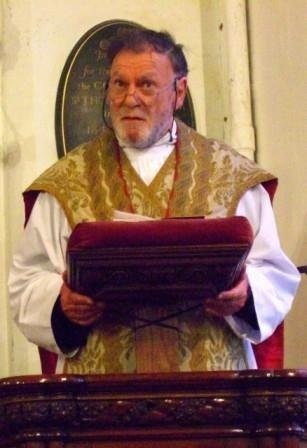 In 2001 he was made Cardinal and Primate of this country. So, yes, he has played his hand carefullyand, in the long run, won the day. Which doesn’t mean a thing if it weren’t for the fact that his election is very telling about the current condition of the Catholic Church. Bad news, eh? Yeah, well, I know that you’ll think I’ve been exaggerating, that things couldn’t be that bad, that there must be something in this man, our new Pope. So I’ve failed to convince you, O.K., my fault. 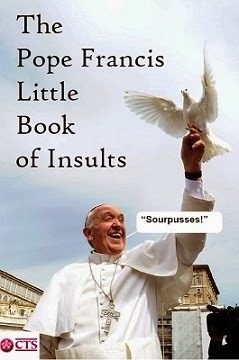 All the same, an Argentine Pope! And a Peronist one! It is all, I haste to recognize, quite unbelievable, but, for that matter, so is Benedict’s abdication… and subsequent deportment. These are strange times indeed. At St. 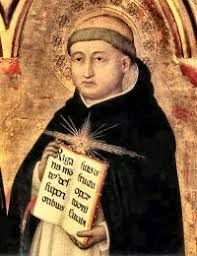 Cure d’Ars Seminary located in the quaint French medieval town of Flavigny-sur-Ozerain, it was Bishop Bernard Tissier de Mallerais (currently stationed at the Chicago priory) who vested 19 seminarians in the soutane and gave the tonsure. The Flavingy seminary was pleased to host over 50 priests and religious and 500 faithful. At St. Thomas Aquinas Seminary in Winona, in addition to the 12 men who received the habit, Bishop Bernard Fellay also administered the tonsure to another 8 seminarians thus initiating them into the clerical state. Vocation shortage? What vocation shortage? I would also like to draw your attention to the fact that the SSPX seminary in Flavigny vested more seminarians than the seminary in Winona. Deo gratias! Furthermore, with 8 seminarians tonsured, this give us a grand total of 40 more in the pipeline! And finally, please pray for these young men. One more thing. As we head towards the Synod of Bishops of 2015, this blog will be posting more of these side by side comparisons over the next 241 days. It is of critical importance that this “objective information” reaches the public domain and is distributed far and wide. The more one becomes familiar with the present situation in the Church, especially with respect to vocations, the more one realizes that the problems at the “field hospital” are either “self inflicted” or caused by medical malpractice. Either way, this needs to be stamped out. We all need to be aware of this fact! T -242: Let My People Go! For my new readers, this blog has been following the trials and tribulations of the Franciscans of the Immaculate since its onset. Many of you are looking for explanations, and the Deus Ex Machina blog has the answer. The destruction of the Franciscans of the Immaculate is playing out on two levels: worldly and supernatural. 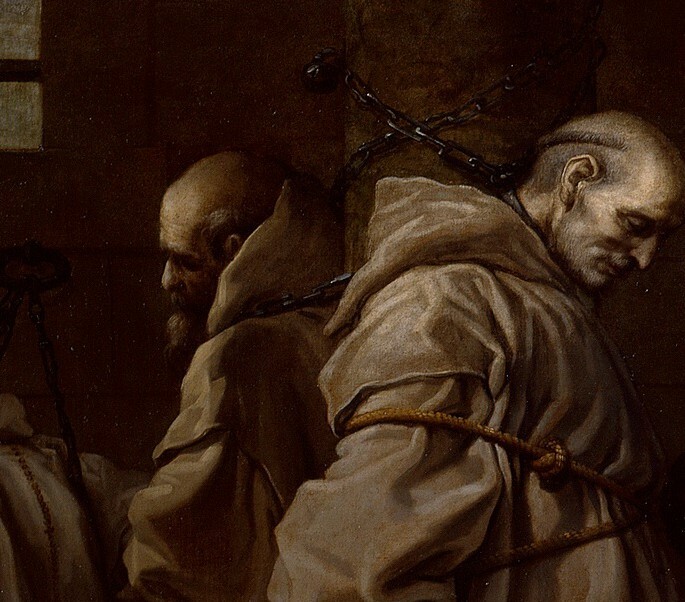 On a strictly material level, the Franciscans of the Immaculate fell prey to one of the main Franciscan branches, the Order of Friars Minor (OFM). This branch of the order was run by one Bishop “Just call me Pepe” Rodriguez Carballo, who was responsible for the order falling on hard times, shall we say. Actually, the Order of Franciscan’s Minor is insolvent with a substantial debt liability. (see here). 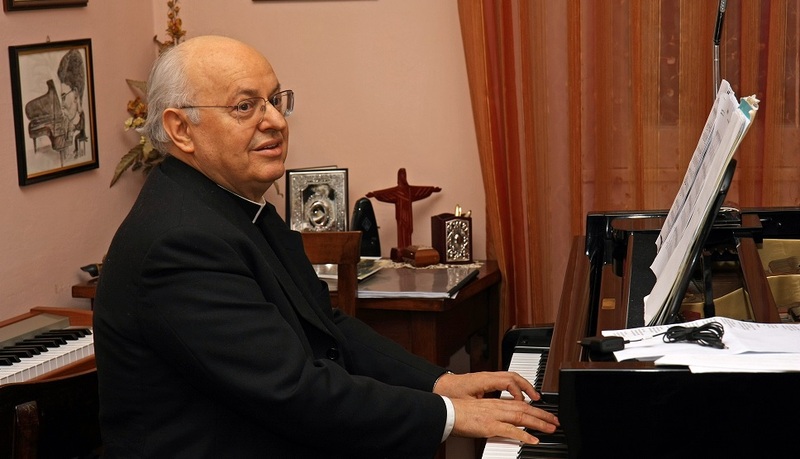 One of Francis’ first appointments was to make “Just call me Pepe” Carballo the Secretary, or “number 2” of the Congregation for Consecrated Life. 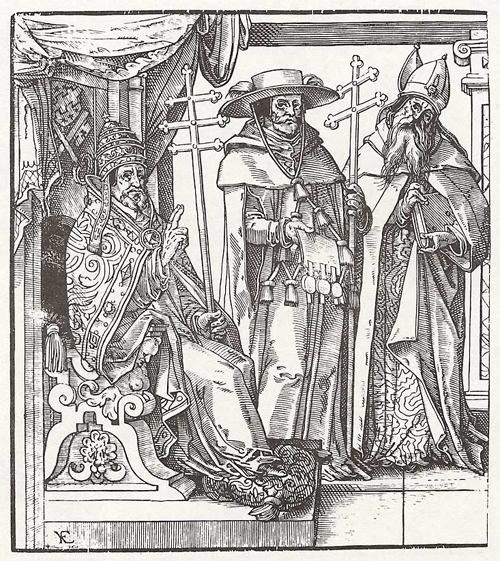 After Bishop Carbollo was appointed, he installed the notorious Fr. Volpi at the Franciscans of the Immaculate in an attempt to take over the property and personnel of this rapidly expanding religious order. To the surprise if not outright shock, Carballo and Volpi found out that the FFI actually took their vow of poverty seriously. And since they took the vow of poverty seriously, the order did not own any property. This fiasco ended in embarrassment when the charges of financial irregularities proved false. However, a few months later, the ‘god of surprises’ turned up at the Friars Minor as per the link above. But it looks like the ‘gods of surprises’ sometime show up in pairs. The second sighing was observed when a large part of the FFI asked to be let out of their vows. And it is that ‘god of surprises’ that the below re-blogged Rorate Caeli post pertains to. The key to the neomodernist capture of power is however also the reason for their failure to sustain a religious culture. Neomodernism is not like Protestantism, which contains ideas with a positive content as well as being a rejection of Catholicism. These ideas – justification by faith, and the like – are not correct, but they say something substantial, and have an appeal that can give rise to an important movement. Neomodernism, however, on a religious level is a purely negative thesis. As a result it has no attractive force of its own, and ecclesiastical structures that fall into its grip eventually die away – a process now visible all over the world. This is one thing that on the natural level permitted the survival of Thomism, despite the drastic measures taken to uproot it from the Church; unlike neomodernism, it has something positive and substantial to say. Moreover, what it has to say is actually true. This is in no way a guarantee of broad success, but it ensures the continued existence of Thomism in the small constituency of good scholars who are concerned with the truth and in a position to discover it. Whether it will expand much beyond this constituency in the future is unknown, but there is no doubt that its future shows more promise than that of neomodernism. 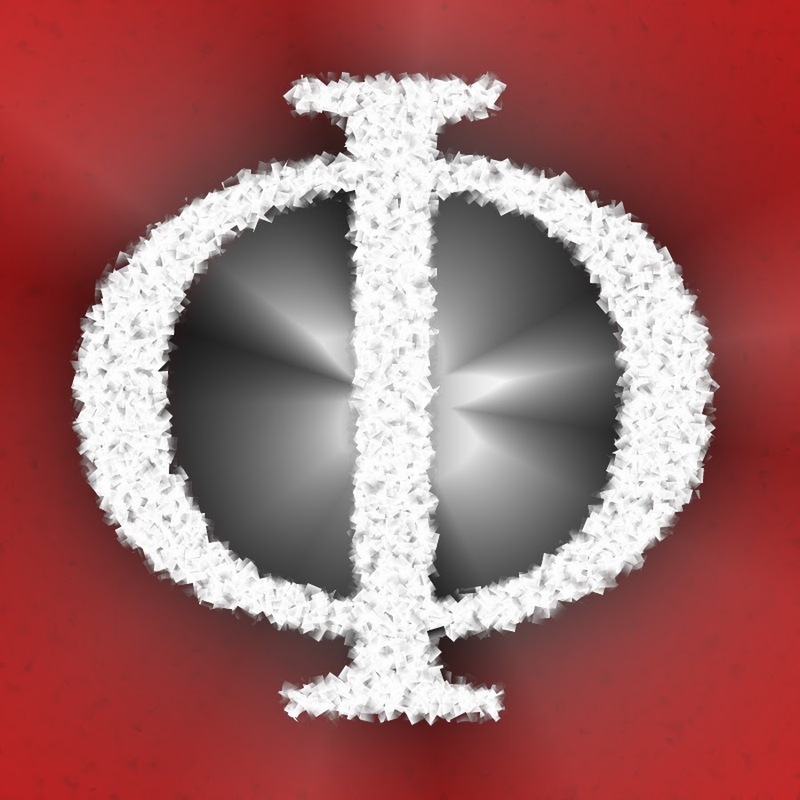 Two further posts are recommended that provide a fuller understand of the logical progression that occurred in the 20th century away from Thomism and mutated into the present strain of the neo-moderist religion. The links are The Negative Theology of Francis (here) and Vital Imminence Revisited from the Radical Catholic blog (here). And one last note. Please remember that all of this that is happening is a distraction. It is intended to keep the eyes of Tradition off of the real important events that will be taking place starting in 9 days, i.e. the Consistory (see here) and the Synod that will be commencing in 242 days. Below, is a re-blog from the Rorae Caeli blog. The ongoing affair of the Franciscan Friars of the Immaculate has arrived at a point at which Commissioner Fidenzio Volpi, who is responsible for this disaster, is wildly delivering blows like a giant Polyphemus, beyond every rule of Canon Law, common sense, plain charity, and even human logic. Rorate has learned that Volpi has in fact suspended “a divinis” six Friars (names withheld for their protection) who are under the care of bishops outside of Italy who have welcomed them and are awaiting their dispensations from their vows from the Congregation for Religious. To read the rest of the post, see here. T -242: A Return to Sanity! Due to an unexpectedly busy schedule, I am re-posting an article that appeared on The Remnant website. 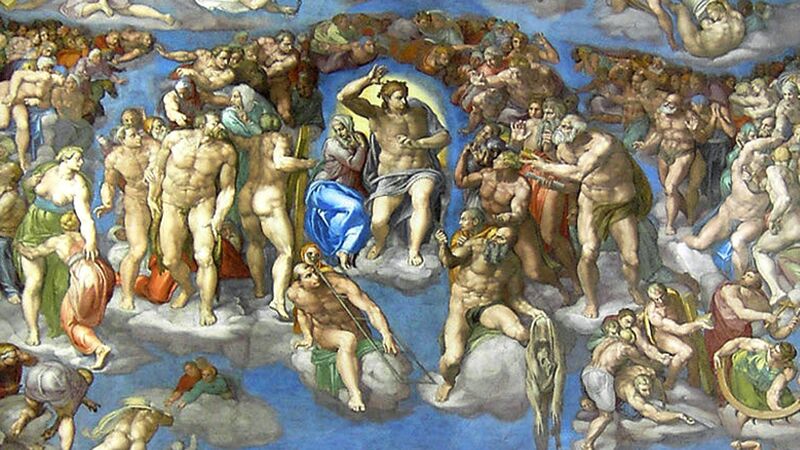 It strays from the Synod of 2015 storyline that I have been pursuing. 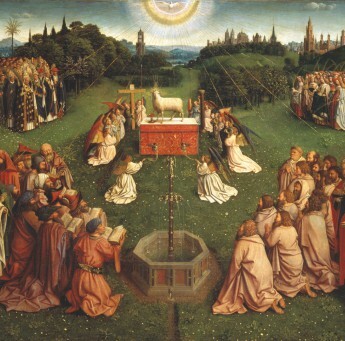 However, the post is exceptional in light of the mission of this blog, and the Restoration of all things in Christ, starting with a return to the Immemorial Mass of All Ages. The below is an excellent article that provides context and support to all those who are doing this ” heavy lifting”. I second the decision of the editors in the first paragraph of his post. Latin must be retained because vernacular is always subjected to changes, would give rise to false interpretations, diminish reverence for the Most Holy Sacrifice, and might endanger the faith itself. 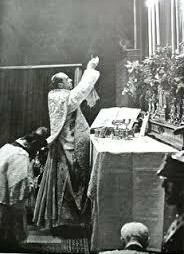 Editor’s Note: Knowing that many devout souls are trying to bring back the Latin Tridentine Mass, we are presenting an article written by Rev. Leonard Goffine over 200 years ago. Catholics who still love the Latin Mass will enjoy reading the part the priest plays as compared with Christ’s. By following the priest step by step in the celebration of the Holy Sacrifice and seeing how the Mass is the reenactment of Christ’s last days on earth, many will gain a better and deeper understanding of the Mass and may come to realize why it is necessary to continue to preserve the Latin Tridentine Mass. 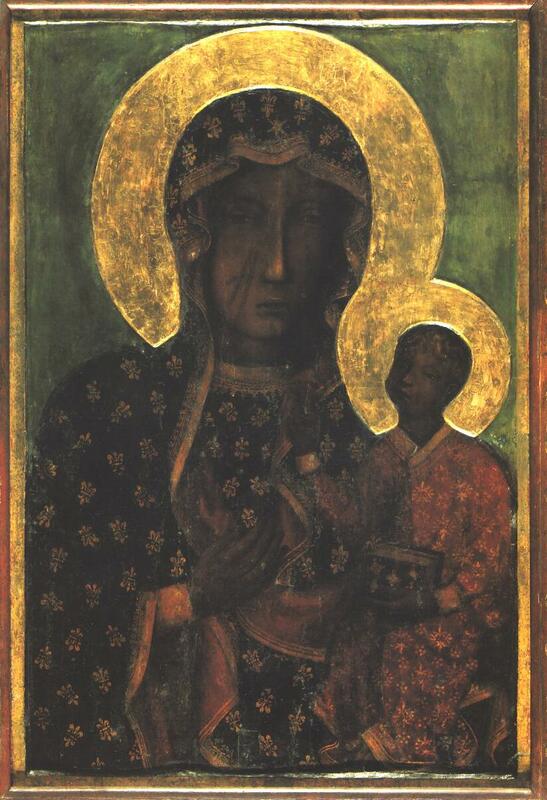 May the Blessed Mother bestow her graces on all who seek to preserve the Holy Sacrifice. To read the entire post, please see here. For the readers information. This blog is making an exception of EXCLUSIVELY focusing on the upcoming Synod of Bishops in this one case, since the information contained in the Rorate Caeli post and video is of such a very serious nature. On December 8, 2013, the Feast of the Immaculate Conception, the the Theological Seminary of the Immaculate Mediatrix (STIM) of the Franciscans of the Immaculate (FI) was closed by their Apostolic Commissioner, Fr. Fidenzio Volpi. On the same day, one of the friars filmed the entire day, which presents the way of life in that same seminary. Traditional Catholicism has been suppressed — and with no trial. T -249: The Pianist’s Returns and He’s Spartacus! Tickling the ivories, and playing on the Faithful’s nerves. One of the most glaring aspects of the ultra-clericalism that has been rampant in the Church since the last Council, is that many statements purporting to encourage lay input and involvement in the Church are suddenly forgotten when the laity don’t uphold the progressive-modernist line. It seems, as in so many areas of Church life, some laity are more equal than others. The input of the radicals at the National Heretic Reporter are eagerly sought; that of the most faithful and involved Catholics are rejected, sometimes angrily, for the inconvenient things they sometimes say. T -250: Guest Post: Frather Z. “Card. Marx pulls a fast one with the text of ‘Evangelii gaudium’. Today, Father Z. is Man Marking Marx! I am re-posting the below from Father Z.’s blog. Card. Marx pulls a fast one with the text of ‘Evangelii gaudium’.. Some people might think that this is a petty point to pick on. It is after all, only a small item in a longer interview and, as such, not worth the microscope treatment. I disagree. This is important. The Deus Ex Machina Blog seconds that motion! Furthermore, it is very important to parse the speeches and writings of the neo-modernists to understand their intent. It is only once we understand the definitions of the words that they use, and the proper meaning of those words, that one can understand the TRUE message that they are putting across to the Faithful. And once we understands the TRUE message, we can determine their TRUE AGENDA. I noticed something in the interview that bothered me… a lot. Here is the section that most troubled me. Yes, the entire article troubled me a lot also. Furthermore, we all need to be “troubled” by this speech, “a lot”. Especially since Cardinal “Bling” Marx just might be the most powerful cleric in all of Christendom. But that is coming up in the next post, so don’t turn that Bat Channel! Before I sign off: Kudo’s to Father Z. and please “keep on keeping on”, as the old and tired 1960’s expression goes, Man Marking Marx! Guest Post: Views from the Choir Loft: “Ad Orientem” in Nebraska! T THE END of November, I reported on Bishop Conley of Lincoln, NE and his directive that all Advent Masses in his Cathedral of the Risen Christ should be celebrated ad orientem. So, what happened? How did this initiative go, and what was the response? I was curious to know, myself, inasmuch as I wholeheartedly supported the experiment. So I did a bit of investigative research. The information that follows was obtained from several priests working within the Diocese of Lincoln, and (with their permission) I am pleased now to offer you the results. 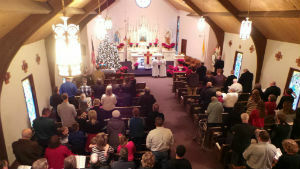 First, the photo above was taken at a parish Mass on Christmas Eve. The parish is St. Wenceslaus in Milligan, NE, and you can see here the celebrant facing East. Thus, we see that the initiative extended beyond just the Cathedral parish. A number of other parishes in the Diocese—probably on the order of 15 to 20—adopted the same practice of facing East during Advent. This was accompanied by explanation & catechesis, and the practice was met with considerable welcome. Multiple priests confirmed that the response was largely positive. Numerous parishioners apparently requested that the practice be continued beyond Advent. These are interesting observations on the part of the actively participating faithful. Another priest told me that his parish seriously considered adopting the initiative in their Advent Masses. Because Bishop Conley’s letter came out only two weeks before Advent, though, they felt there was not sufficient time to offer proper catechesis. Thus, they ultimately chose not to adopt the ad orientem posture. Nevertheless, there was a great openness among the priests. These results are certainly not exhaustive, but they are directly from priests engaged in ministry within the Diocese. Thus, they are not made up or merely theoretical. 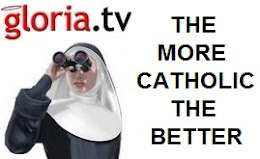 They are the practical reflections and unfiltered sentiments of real Catholics. The bishop’s column introducing the initiative is well done and worth another look. Perhaps this experiment was just a means of testing the waters, with the potential to blossom into fuller use of the ad orientem posture. This would demonstrate remarkable continuity with our liturgical heritage.